1 down, only 160 more wins to go. 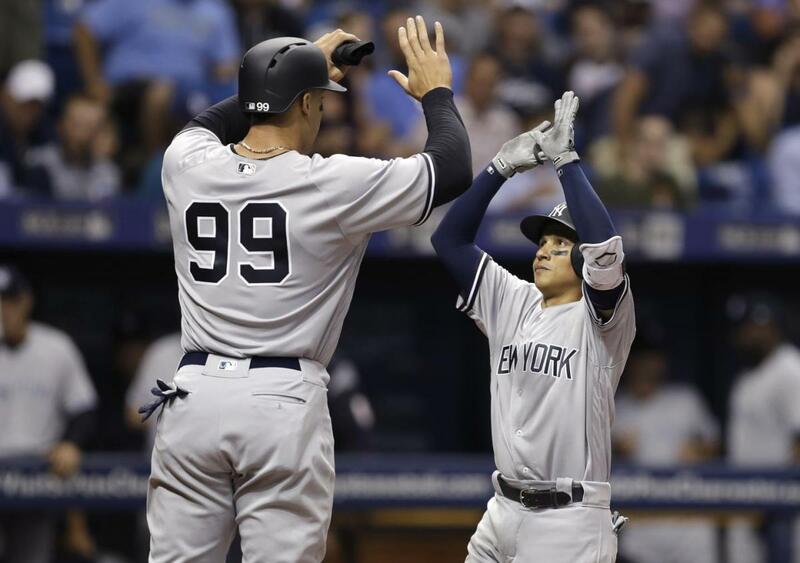 The Yankees picked up their first win of the season tonight against the Tampa Bay Rays. The Yanks looked like a complete team dominating the Rays in every facet of the game. CC Sabathia looked like a true Cy Young candidate, he is going the have lowest ERA in MLB history. The Bullpen once again looked great, after picking up the slack of Tanaka in game 1, they continued the trend with having four scoreless innings tonight, they might give up their first run at some point in September. On the offensive side, Chase Headley looks like an early front runner for AL MVP and also the comebak player of the year right now with his YaYa(I will be calling homers YaYa from now on) and his RBI to seal the deal late in the game. Ronald Torreyes has been a godsend for the Yankees, he is most likely going to win the Gold Glove and Silver Slugger award at shortstop. The Yankees should think about trading Didi, Gleyber Torres, and Jorge Mateo for some pitching, since Toe is obviously the shortstop of the Yankees future. Gary Sanchez looks really lost at the plate, the Yankees might want to start Romine tomorrow, and field trade offers around the MLB for Sanchez or maybe just straight up release him.